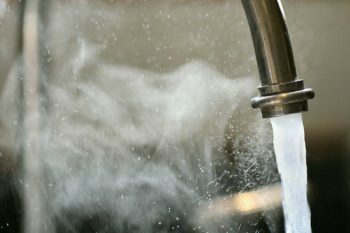 Hot water is no mere luxury, it is a necessity! When your hot water heater breaks down you are unable to wash dishes in the sink with hot water, you can’t do laundry, and you’re stuck with frigid showers, it’s a major interruption to your life. For businesses, it can be even worse! If you have already repaired your old water heater enough for one year or you are simply looking to upgrade, the plumbers John’s Plumbing & Pumps, Inc has your water heater replacement solutions. We offer excellent brand names with the best warranties for sale and installation as well as a selection at a wide range of price-points, so there is something for every scale and lifestyle. Our friendly plumbers and technicians are happy to make a site visit and measure your space. We can talk to you about your usage and help you narrow down the best water heater replacement for your home or business. Most water heaters are only built to last between 10 and 15 years. And old water heaters can be a major expense. Finding the right energy-efficient water heater replacement can pay for itself over time. We help you find a water heater that balances cost, capacity, and most efficient fuel source. You save in your utility bills and you save by not having to call in a plumber to fix an old, broken unit—again! Whether you purchase a water heater from us or not, we offer experienced installation for you. 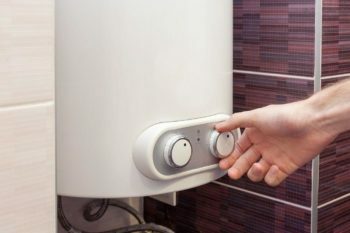 We are able to install any make or model of water heater, from industrial water heater replacement to gas and tankless. Our experienced installers have been factory trained by the major manufacturers, so you get an installation with an exact fit. We will also take away your old water heater after the replacement if you want us to. As a locally-owned business proudly serving the Olympia area for over 60 years, we are dedicated to excellence. All our hand-picked plumbers and technicians live and play in the area. That means you are our neighbors, and we consider you part of our extended family. That is why we offer some of the best rates in town. All our work comes with upfront cost estimates and open communication about the process. We encourage people to check out our online reviews. We want you to feel completely confident you have picked the right company for your water heater replacement in Olympia. We know our many satisfied customers have been vocal about receiving a job well done. We are happy they are happy, and we think you will be too! For water heater replacement you can count on for quality at the best price, contact us today!